Lady and the Blog → Living → Want To Scare The Living Daylights Out Of Your Kids? Want To Scare The Living Daylights Out Of Your Kids? Well, why would anyone want to do that? That’s just plain mean. But… this is STILL SO FUNNY! Check out this monster decal for the toilet bowl. If your kids are a bit older, they might really find it hilarious. My son would most likely urinate all over himself if I put this in our bathroom which would make more work for me… so it ain’t happening. 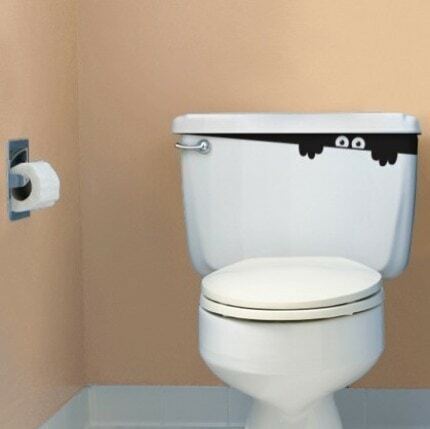 HOWEVER, if you think your little ones can take it OR if you are throwing a Halloween party this year and want to add a little fun to your bathroom, check out this decal!